...but only one of these will ensure that your business looks as good as it possibly can everywhere that matters, with no downside at all. Many businesses try this at first; after all, they run a great business and no-one will have anything negative to say about it, will they? All customers are invited to post a review to Google (All - thus complying with the CMA rules) making sure they understand that they can post whenever the wish (also compliant). 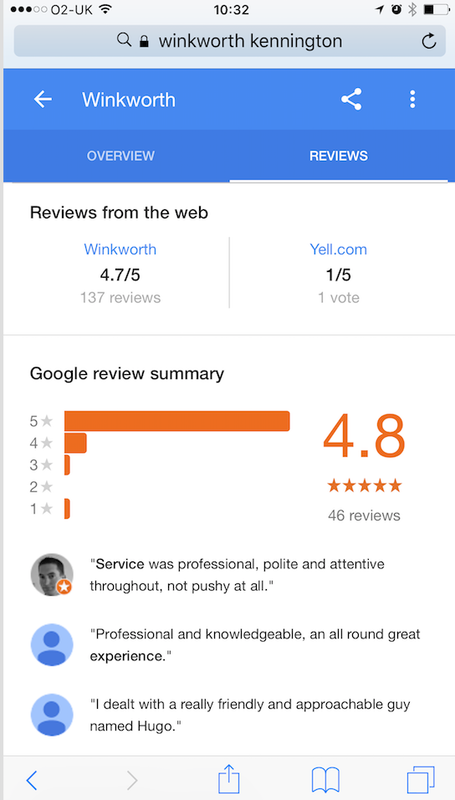 To make absolutely sure the business is complying - an invitation to post a review to Google is added to its website and at the bottom of all its email communications. Cons: no independently verified reviews on the business's own website - and the slightly nerve-wracking feeling that even those that do rate the business 5* may include inaccurate or misleading statements in their review. There are certainly plenty to choose from - many hundreds at the last count. There are all-encompassing sites like Yelp and specialist - industry specific - sites like TripAdvisor. The core principle of most of these sites is that the business invites their customer to post a review and then the site adds value to the reviews of that business by - in some ways - adding credibility and visibility. Pros: it's better than doing nothing - possibly. Cons: let's look at those twin advantages. First - credibility: to be credible the solution must, at the very least, comply with the CMA rules (they are analysed in full here, but, at their simplest they state that a customer must be able to write a review of the business in question at a time of their own choosing). Somewhat surprisingly we still see non-compliant solutions being marketed to business daily. Secondly: visibility. Independent reviews sites used to show up well in search, but over the last three years their visibility has decreased - usually at the expense of Google reviews. 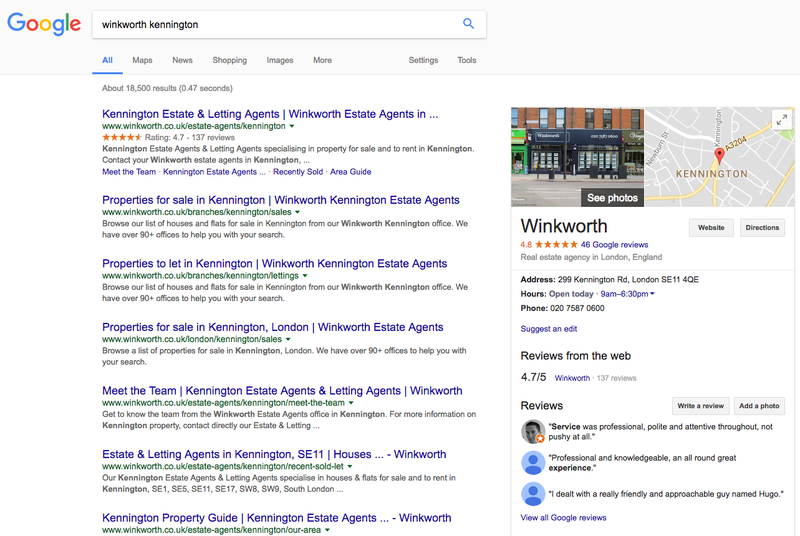 Google has been very clever: they still display a link to 'Reviews from the web' in the knowledge panel and the independent site will show somewhere in search, just not quite as often as it once did and not quite as prominently. As a business this shouldn't worry you - it's far more a disadvantage for the review sites than it is for businesses, who can always find a solution that plays to Google's strengths. There's a 2.b we see more often as time passes - and it plays fast and loose with the independent sites and Google. The business simply asks its customers to post to a less-than-prominent independent site and then asks those customers that have posted a five star review to copy their review to Google. 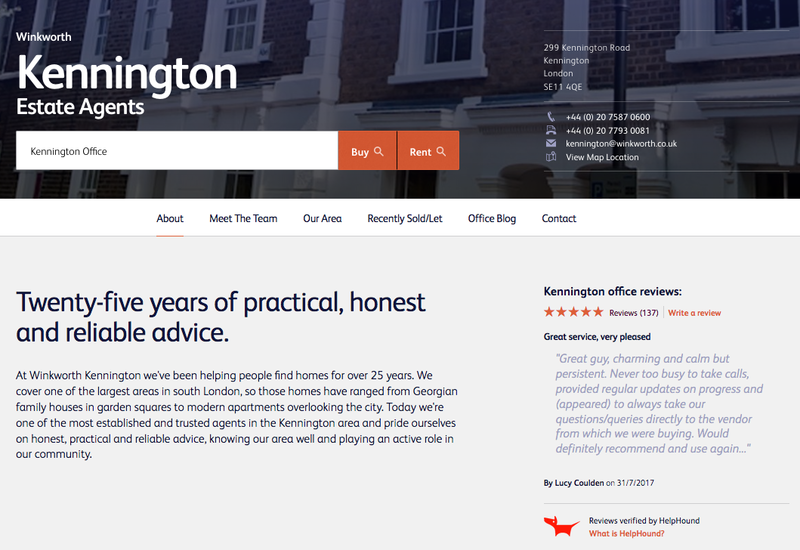 We first noticed this in 2016 when a large estate agency went from scoring 2.1 on Google with less than a dozen reviews to scoring over 4.0 from over fifty reviews within the space of a month. 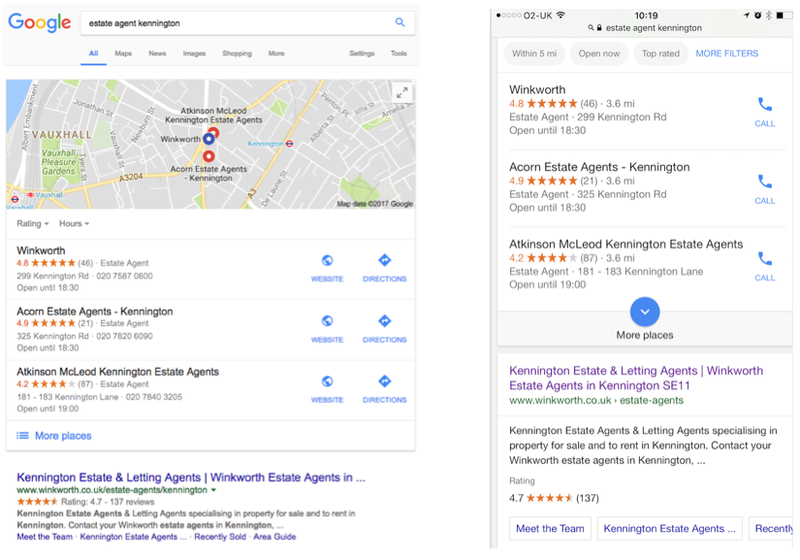 If a business's score on Google is at odds to its score on a site it pays - we look harder (and if we look harder, you can bet that business's more savvy competitors will do so as well - eventually). This is where terminology is confusing (and confused, sometimes less than innocently). There are two words commonly used - 'review' and 'testimonial' - and they have increasingly well-defined meanings. ...is independently verified, by an outside agency. ...is chosen by the business and displayed by that business. These two definitions are increasingly enshrined in law and regulation; in the UK by the aforementioned CMA. There are no 'pros' and 'cons' here, just 'legitimate use' and otherwise. If you control the content of what your customers are saying about you on your own website you cannot describe those comments as 'reviews', they are testimonials and should be described as such. We sometimes see web designers promoting their own 'reviews systems'. 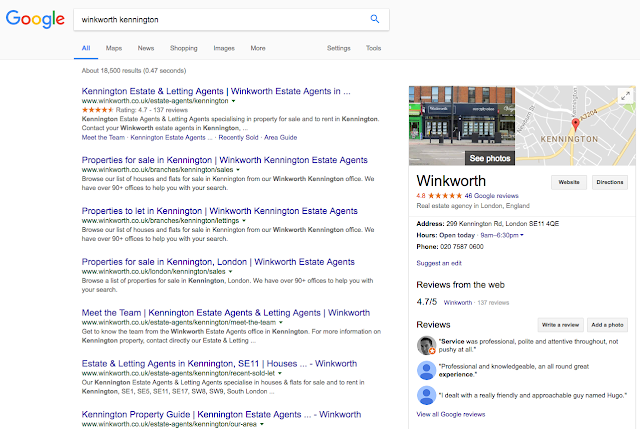 There are at least two variants: the first allows the business to invite 'reviews' to its own website and display them as such; the second allows the business to display chosen reviews from either Google or an independent reviews site. In both instances the fact that the business effectively controls the reviews that are displayed invalidates the mechanism - and we have yet to encounter such a system that would satisfy the CMA regulations. ...then that is what we will do for your business. Much the same (just a different layout - with their own reviews top left). Note the rich snippet from a Google Local Guide - identified by the star on their avatar. There's a supplementary you might also ask "Who owns the reviews - you or us?" 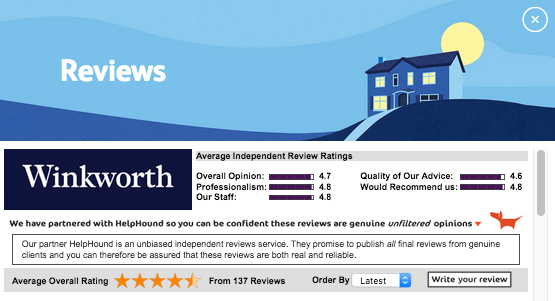 After all, they are your customers - you should own the reviews. Speak to one of us and then get professional review management working for your business, getting it looking just like the one in the example above.